Dental implants are by far the best way to replace missing or damaged teeth to give you that perfect smile you always dreamed of, but to make sure you can keep this smile going for years to come you must take good care of them along with your natural teeth. Receiving dental implants is just the first step in revitalizing your smile. The main reason for dental implant failure is due to poor maintenance. More specifically, improper flossing and brushing can cause bone and gum tissue surrounding the implant to become infected, resulting in implant failure. 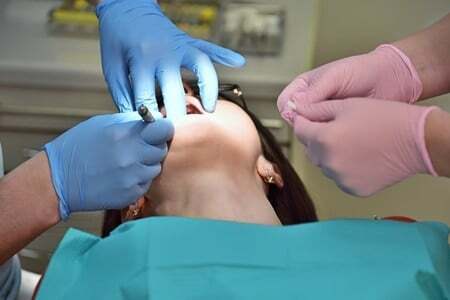 In order to properly maintain good oral health after receiving implants you must continue to clean your teeth regularly at home, with special focus on the implanted teeth, and continue to visit your dentist every 6 months for a professional cleaning. 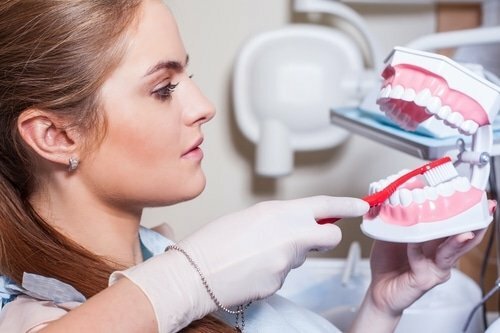 In this article you will learn about proper dental implant maintenance techniques, both on the personal and professional levels. Two things that are essential to the success of dental implants are good oral hygiene and avoiding the use of tobacco products. Failure to take these measures can result in plaque and bacteria building up around the implant, causing infections such as peri-implantitis and mucositis. When it comes to dental implants, reducing plaque and bacteria buildup must be given special attention to minimize the chances for implant failure. Although it may not seem like it, the gum tissue surrounding implanted teeth is structured differently than that of natural teeth. The main difference is that there is more space between the gum tissue and an implanted tooth, making it more likely for plaque to build up and cause gum infections. As a result, some new techniques will be required to brush and floss these areas, which are discussed below. Brushing your teeth when you have dental implants is very similar to brushing natural teeth but with some extra attention given to the implanted teeth. When brushing an implanted tooth it is important to emphasize more on brushing the area between your gum line and your implanted tooth. The best way to describe this is to envision the bristle of your brush actually reaching between your gum tissue and the implanted tooth on every stroke. 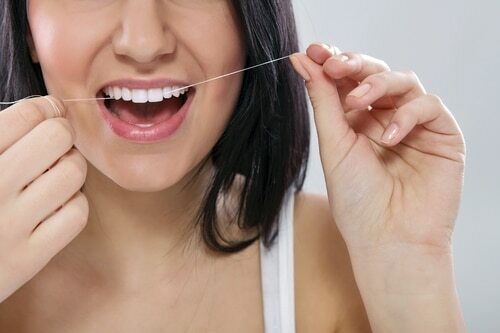 Flossing is important for good oral health but even more so when it comes to implants. Since your toothbrush cannot reach small areas between your teeth and under your gums, flossing is required to remove plaque from those areas. Even if you hate flossing, make sure to at least floss the areas surrounding your implanted teeth to remove harmful plaque. Just like with natural teeth, visiting a dentist regularly for a professional cleaning is crucial to maintain good oral health. When you have implanted teeth, these visits should be every 3-6 months to ensure the maintenance of successful implants. After your dental implant surgery, your periodontist will recommend how often you should receive professional cleaning. These regular visits will ensure that plaque buildup is being minimized, and will also allow for your periodontist to catch any potential problems in their early stages. During these visits you may realize that they are using different equipment to clean your implants. The reason for this is that metal tools that are often used on natural teeth can scratch the surface of your implant making it easier for bacteria to accumulate on the surface.